Health experts recommend drinking alkaline water with a pH of 9 -9.5 daily for good health. But many home water ionizers can make water with a pH of 10 or higher. Here are four benefits of that high pH water. Coffee can have a pH as low as 2, which is quite acidic! The pH of coffee can be neutralized by using high pH water. High pH water is needed because boiling alkalized water lowers the pH of the water slightly. Making coffee with water that has a pH of 10 typically makes coffee that is neutral (ph of 7) or slightly acidic depending on how strong the coffee is made. Coffee made with alkaline water tastes better, and is more aromatic. 300% more antioxidant benefit. 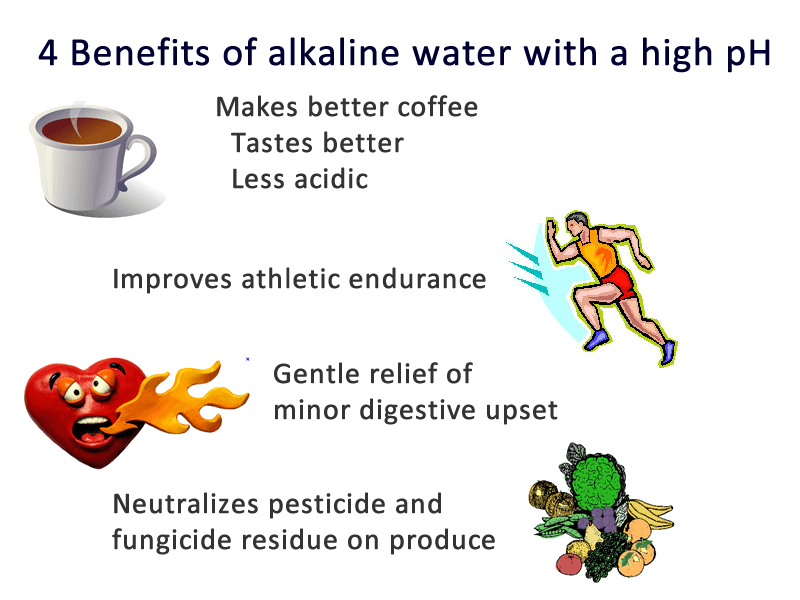 Alkaline water makes your coffee healthier. Coffee is America’s favorite antioxidant. Making coffee with alkaline water and you triple it’s antioxidant potential. Athletes use high pH water to alkalize their bodies prior to working out. Drinking alkaline water with a pH of 10 or higher has been shown to increase endurance. Electrolyte beverages like Gatorade can also be enhanced with high pH water. I use and swear by alkaline water plus electrolytes in my high-intensity training regimen. Alkaline ionized water is prescribed by doctors in Japan for mild digestive upset. One in-vitro – in the lab – study in the USA showed that it inactivated pepsin, and neutralized hydrochloric acid. But if you have digestive upset, talk to your doctor first. Only your doctor knows for sure if alkalized water might help. Unless you are lucky enough to have a 100% organic diet, your produce may have pesticide or fungicide residue. The good news is that pesticides and fungicides are acidic, so they are neutralized by high pH water. 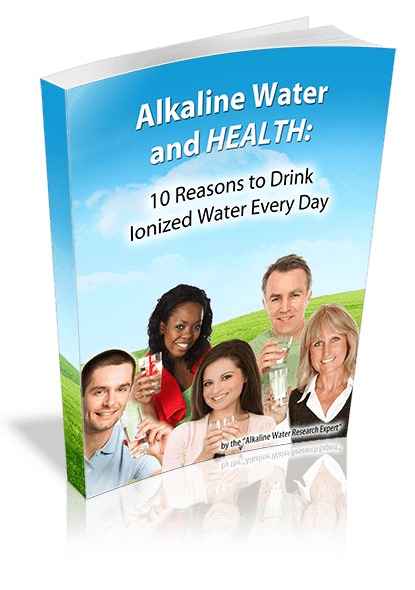 Water ionizers make both alkaline and acidic waters, each of which has many uses. Call us today at 877-959-7977 to learn more about how a home water ionizer can improve your health, and save you money.